What is low VOC and what are the benefits? 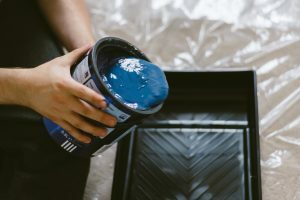 The global low VOC paint market was valued at USD 6,719.72 million in 2017, according to Mordor Intelligence, and an increase of 6.45% is expected by the year 2023. So, if you aren’t yet manufacturing or selling low-VOC products, now is a great time to start. But, what is low-VOC, and why are consumers increasingly choosing to buy low-VOC products? In this guide, we’re going to look at the ins and outs of this. We’ll explain why VOCs are hazardous, what kinds of products can fall into this category, why low VOC products are becoming increasingly popular. Read on to learn everything you need to know. What does VOC stand for? VOC stands for “volatile organic compound”. The term refers to a class of chemicals that begin to vaporise under typical indoor temperature and pressure conditions. Common VOCs include benzene, formaldehyde, toluene, flammable alcohols, household cleaning solvents, gasoline, and other liquid combustion fuels. VOCs are present in a whole host of products, including paint, carpet, air fresheners, make-up, and even magazines. Some are more toxic than others but, as a general rule, everyone should be looking to limit their exposure to VOCs — and manufacturers need to think very carefully about this during their production processes. If you can reduce your customers’ exposure to these chemicals, it’s important that you do. What are the benefits of using low VOC products? There are a number of reasons why manufacturers should be looking to make — and consumers should be looking to buy — low VOC products. Here, we’re going to look at some of the main benefits of making the switch. Poor air quality can have a detrimental effect on the public’s health, as well as the environment. And, because VOCs evaporate, subsequently transferring harmful chemicals into the air, using products with high VOC levels can be dangerous. What’s more, the US Environmental Protection Agency has found that, on average, the presence of organic (carbon-based) pollutants are two to five times higher indoors than they are outside. This means consumers and manufacturers need to be thinking more carefully about the chemicals that are being brought into the UK’s homes and public buildings. Of course, as well as having a negative impact on the public’s health, poor air quality caused by products with a high VOC content can also cause damage to the environment. If everyone was to make more of an effort to make and use low VOC products, this could help to reduce the overall levels of air pollution both indoors and outdoors. And, it’s becoming increasingly important that manufacturers, retailers, and consumers take responsibility for this. Creating more environmentally-friendly products is good for business, too. A third of consumers prefer to shop with companies that are doing social or environmental good, according to a report from Unilever. So, if you can show that you’re manufacturing or selling products that are better for the environment than some others on the market, it’s likely you’ll attract more customers. Products that have a high VOC content tend to have a strong odour — think fresh paint or extra-strength cleaning products. This can often be overwhelming, and the fumes that cause these strong odours can cause headaches. This means, now that there are low VOC variations on the market, more and more people are looking to buy products that won’t give off the strong fumes and odours that they’re used to. Manufacturing and selling low VOC products will benefit your customers, the environment, and possibly even your bottom line. So, if you haven’t already, now is a great time to expand your product offering with some new low VOC options. Here at Chemoxy, we offer a wide range of performance products, which includes an extensive selection of low toxicity and environmentally solvents that can be used in the making of paints, coatings, industrial, and household cleaners. Estasol® can be used in the manufacturing of adhesives, while Coasol® and Coasol® 290 plus are ideal for the making of low-VOC paints and cleaning products. If you would like to know more, get in touch to speak to one of our experts today. Which cleaning solvent should I use?